Picture Perfect Updated Rancher boasts a large corner lot, 3 beds, 2 full baths, a 2 car garage, and parking for up to 6 cars. 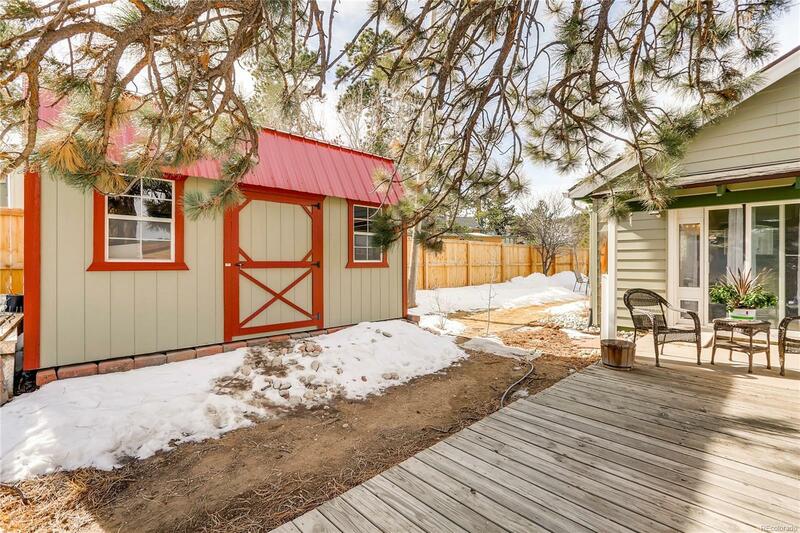 No HOA and conveniently located to downtown Evergreen, shopping and justs 30 minutes to Denver! The popular open floor plan is an entertainer's delight. With a beautifully updated large eat-in kitchen, ample counter space and access to a gorgeous privacy fenced back yard. The laundry room is conveniently located off the kitchen too! The master suite boasts a wall of closets and a private covered patio accessed via a slider. The two secondary bedrooms and 2nd full bath make this easy living. Move in ready with new fixtures, granite counters, carpet, siding, landscaping privacy fence and more.. this one won't last!